If your minivan shopping list is all about functionality, features and price, the 2012 Dodge Grand Caravan is bound to be an attractive option. Our white knight has been an incredible vehicle for our young, growing family. This van has been incredible for our family of seven. The back seat side doors open with the push of a button which has been incredibly helpful when I am trying to load up the kids and groceries. And then when we do not want to use that feature, there is an off button. This van has several cup holders which has also been incredibly useful. Unfortunately, there have been two product alerts regarding our vehicle--something about the front side door wiring could randomly ignite. Our local Dodge dealer fixed the issue, both times, free of charge and in a reasonable amount of time. As far as comfort goes, we love it! Before this van, we owned a Dodge Durango. Once we sat in our newly traded van, we couldn't believe how soft and comfortable the seats were! The driver's seat has several adjusters to make the seat perfect for whomever sits there. My husband and I are quite tall and there is enough leg room and our heads do not hit the ceiling. We bought the white exterior color and we just love it! Dual heat control, back heat control. Dual push button doors and trunk. My 2012 Dodge Grand Caravan has not had many issues. The biggest issue we have had is there is a leak in the aluminum line for the ac which is very costly to fix. It seats me, my husband, and 4 kids semi comfortable, it's not the most car seat friendly van on the market. Our transmission seems to be acting up but the mechanics say this is a chipped transmission so really best for one driver to always drive it. I really love the push button dual sliding doors and trunk, comes in handy when grocery shopping with 4 kids. We will be upgrading in the next couple of years as my kids get bigger because there is not very much leg room in the third row. All the seats in the back fold down into the floor so it's very easy to haul things that a normal van cannot. Awesome family vehicle that offers convenience and comfort. We have really enjoyed our minivan. Although we are only a family of four, we often have our nephews and/or parents traveling with us. The extra space is so convenient and comfortable. I love the fact that the rear captain chair can be collapsed and tucked under. Really helps when we purchase a large item that we have to transfer. This is our second minivan from Chrysler and we will definitely be buying again. Never had any major problems (just routine maintenance) and I love our Bluetooth radio. Only complaints I really have is when only the back windows are open it creates a whistling sound. Overall it was a great purchase! 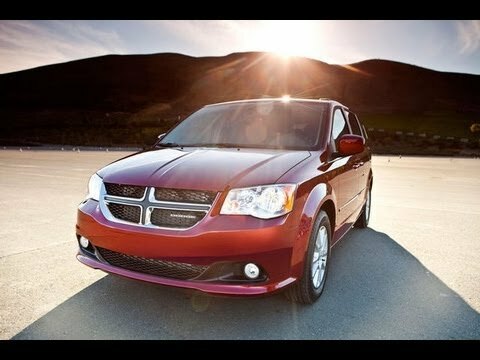 2012 Dodge Grand Caravan SXT, Detailed Walkaround. Chrysler will notify owners, and dealers will replace the vent window switch with a newer version, free of charge. The recall is expected to begin in June 2014. Owners may contact Chrysler customer service at 1-800-853-1403. Chrysler's number for this recall is P25. CHRYSLER IS RECALLING CERTAIN MODEL YEAR 2012 TOWN AND COUNTRY AND DODGE GRAND CARAVAN VEHICLES, MANUFACTURED FROM MARCH 9, 2012 THROUGH MARCH 12, 2012. SOME VEHICLES MAY BE EQUIPPED WITH A RIGHT SIDE LIFTGATE PINCH SENSOR THAT DOES NOT FUNCTION PROPERLY. AS A RESULT, INCREASED FORCE MAY BE REQUIRED IN ORDER TO STOP THE POWER LIFTGATE DURING FINAL CLOSING STAGES. THE POWER LIFTGATE DOOR MAY CLOSE ON AN APPENDAGE, INCREASING THE RISK OF INJURY. CHRYSLER WILL NOTIFY OWNERS, AND DEALERS WILL REPLACE THE RIGHT REAR HUB AND BEARING ASSEMBLY, FREE OF CHARGE. THE SAFETY RECALL IS EXPECTED TO BEGIN DURING APRIL 2012. OWNERS MAY CONTACT CHRYSLER AT 1-800-853-1403.